Black and white peppercorns are both the fruit of the evergreen climbing tree Piper nigrum, but they are processed differently. 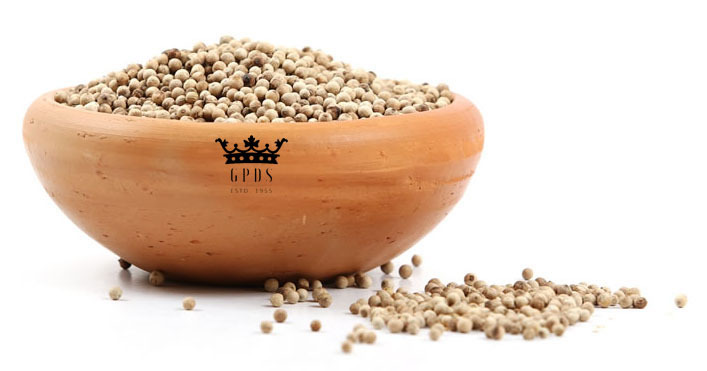 Black peppercorns are picked when almost ripe and sun-dried, turning the outer layer black. 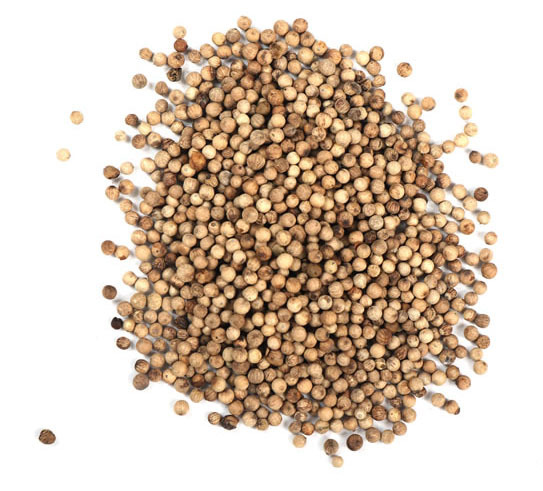 White peppercorn is produced when the outer layer is removed before or after drying, leaving only the inner seed. This can be done before or after the process of drying in order to obtain the inner seed. 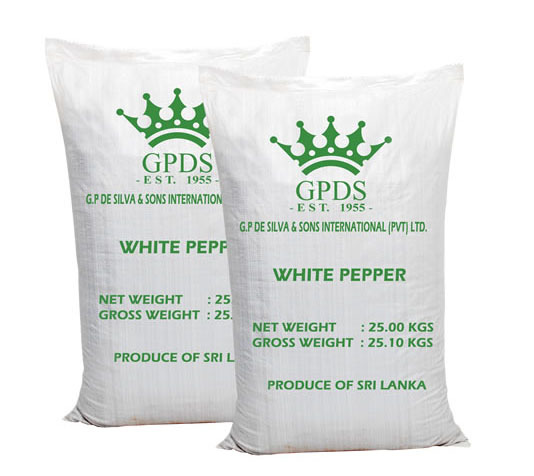 White Pepper is graded according to the density of the berries.